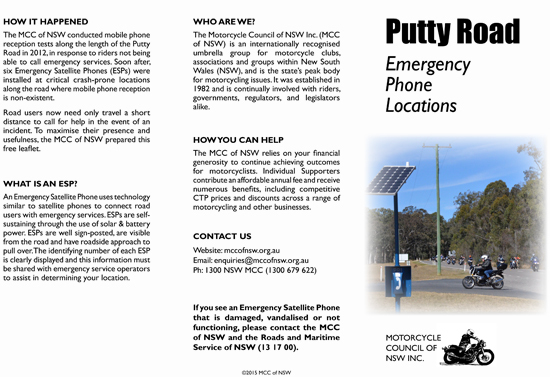 The MCC of NSW conducted mobile phone reception tests along the length of the Putty Road in 2012, in response to riders not being able to call emergency services. 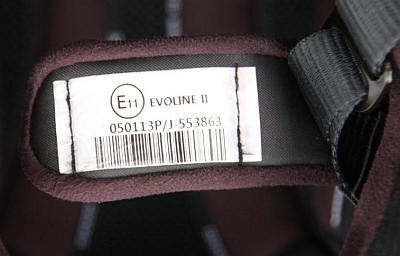 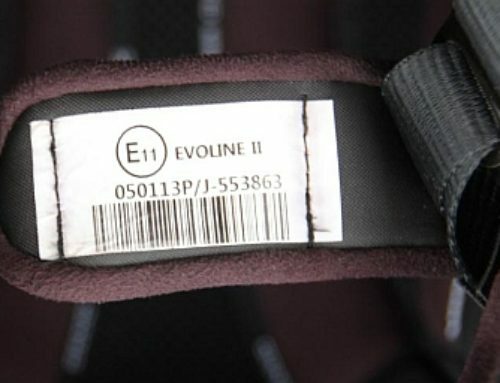 Soon after, six Emergency Satellite Phones (ESPs) were installed at critical crash-prone locations along the road where mobile phone reception is non-existent. 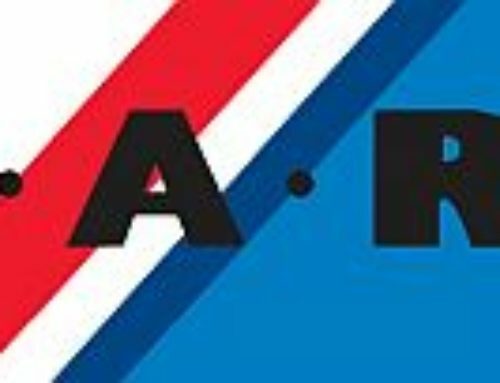 Road users now need only travel a short distance to call for help in the event of an incident. 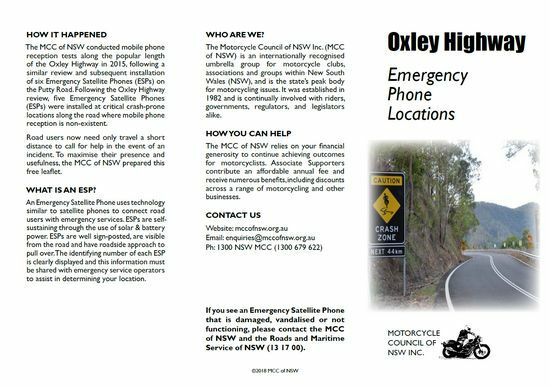 To maximise their presence and usefulness, the MCC of NSW prepared the a free leaflet with the phone locations. PDF files of both Putty and Oxley brochures can be downloaded via the links below.